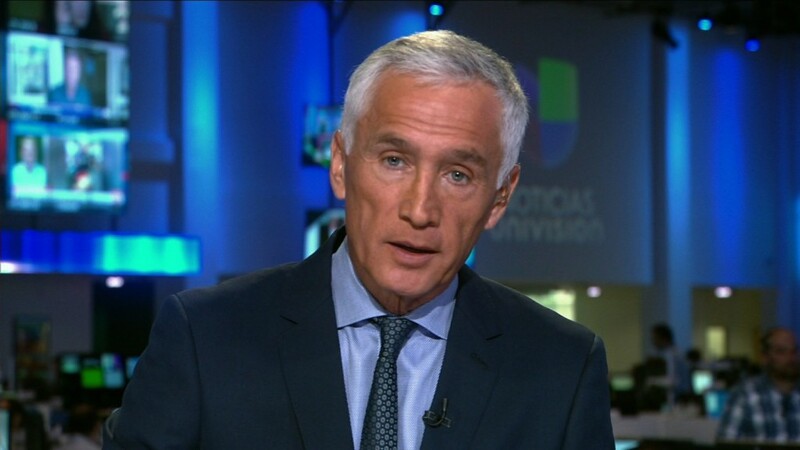 Univision anchor Jorge Ramos believes his tense press conference exchange with Donald Trump "unmasked" the presidential candidate. "What you want to do in an interview or in a press conference is to unmask, if possible, the person you are talking to," Ramos says. "When Donald Trump decided to throw me out, I think he was unmasked. That's the real Donald Trump." At the Iowa press event on Tuesday, Ramos stood up and tried to ask Trump about the candidate's controversial immigration proposals. Trump told him to "sit down" because he hadn't been called on. "Go back to Univision," Trump said. Ramos refused to sit down. Security personnel escorted him out of the room -- something that Ramos said he "never expected." "I knew it was going to be tough," Ramos said in an interview with me for CNN's "Reliable Sources." "I knew... he wasn't going to like it. But I never expected that instead of answering my questions, he was going to call his security detail to throw me out." Trump implied that the security personnel acted on their own, something that Ramos refutes. Ramos was allowed back into the press conference about ten minutes later -- partly because other journalists in the room asked Trump if they'd let him back in -- and had a lengthy back and forth with the candidate. Ramos said he had personally thanked two other questioners, Kasie Hunt of MSNBC and Tom Llamas of ABC, for challenging Trump about his removal from the room. He also said Trump's initial refusal to engage with him revealed something important about the Republican frontrunner. "He tried to stop me when he realized that he didn't like the question," Ramos said. The anchorman's detractors say he should have waited to be called on. But he said he doesn't believe that Trump ever would have. Ramos, the best-known Spanish-language news anchor in the United States, said he'd been spurned in his numerous attempts to interview Trump. "I sent a handwritten note to Mr. Trump" requesting an interview "and instead of responding to me, he published it online with my cell phone" number, Ramos pointed out. So he and his colleagues started planning a press conference visit weeks before the Iowa confrontation. Tuesday ended up being relatively convenient, although he did miss his weekly program on Fusion, an English-language cable channel co-owned by Univision. Ramos said of his ejection from the press conference, "this is the kind of thing that you see in dictatorships, but not in the United States of America." So I asked him -- you don't really think that if Trump becomes president, that people will be kicked out of the White House Briefing Room, do you? "Well, we don't know," he answered. "That's exactly what he did to me. And he acted in an incredibly authoritarian way. That's exactly what he did. And that's dangerous for press freedom in the United States." Ramos said Trump's campaign -- dismissed by some as a sideshow -- should be taken seriously, "because the things that he is saying," like a plan for mass deportations, would have severe consequences for the country, including for the Hispanic Americans who make up the bulk of his television audience. "If you don't challenge authority, if you don't challenge power, then what's -- what's the reason behind being a reporter?" he asked. Trump said on CNN's "New Day" that Ramos was "screaming like a madman" at the press conference, acting rude, loud and "obnoxious." Ramos' response is that "I'm just a reporter." But there's no doubt he also sometimes sounds like an advocate. He says, "When human rights are involved, when immigration rights are involved, when discrimination and racism is involved, we, as reporters, have to take a stand." Ramos said Trump's ongoing lawsuit against Univision -- relating to the network's cancellation of his Miss USA pageant telecast in July -- is a "legal issue" that doesn't affect him one bit. Oh, and by the way, he still wants a proper interview with Trump.